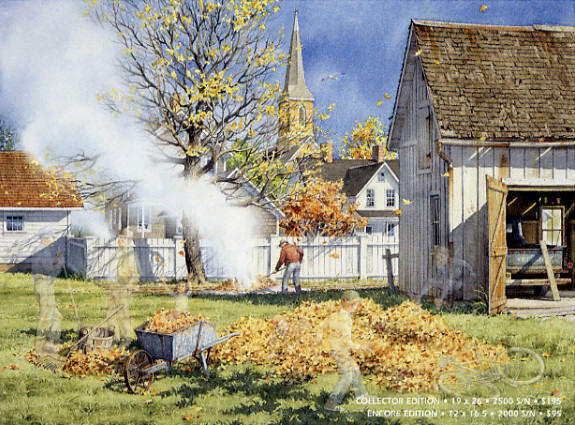 Though concerns over global warming have intervened, I miss that wonderful smell of burning leaves, the siren call of childhood, drawing, drawing friends into exuberant display on our way home from school and eliciting friendly exchanges among neighbors ... a quieter celebration of the passing beauty of fall. This is the #59/60 of the series. 2500 signed and numbered 19" x 26"
2000 signed and numbered 12" x 16.5"